Completely Revised and Updated by Nancy J. Ondra. Everything you need to know can be found in this guide. There are almost 400 photographs of roses with description as regards to their growth habit, winter hardiness and fragrance. This is an excellent idea book on new ways of using roses in your landscape; in the mixed border, walkways, arbors, containers, even clambering up a tree and adorning architectural structures. There are over 300 full color photographs and about 100 black and white photos. Writer and journalist Alphonse Karr (1808-1890) said “A rose without perfume is only half a rose.” This book is about fragrant roses. If you are interested in planning a garden with the most fragrant roses, this is the book you should read. It has pictures of 50 roses arranged by color and chosen for their unforgettable fragrance. Information on their history, characteristics and cultivation are included, together with hints on companion plantings. The last chapter deals with 50 guidelines which are the keys to success in rose growing. The book is full of entertaining, gift-giving and decorating ideas celebrating the beauty of roses. Beginning with the basics, Barbara describes the many varieties available, from old-fashioned roses to modern hybrids, and explain how to choose the best roses from a florist or from your own garden. She offers dozens of simple how-to ideas for using them in the home or giving them as gifts. 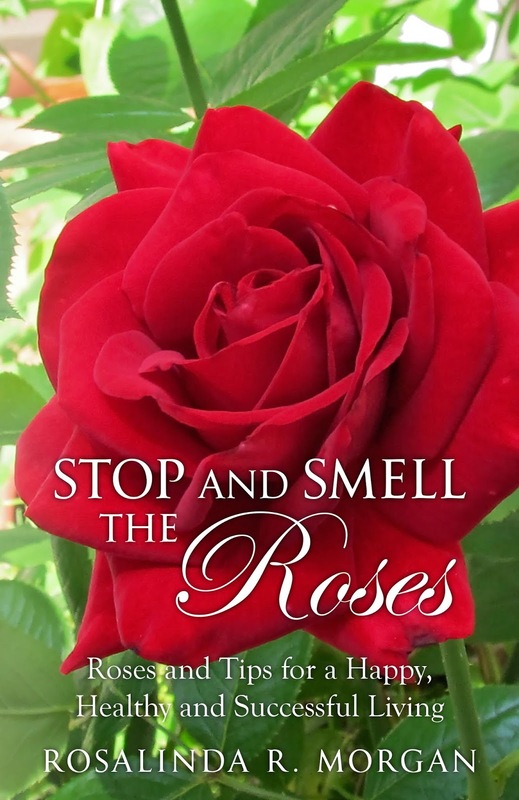 It is a rose book with motivational twist or rather a motivational book with a rose twist. 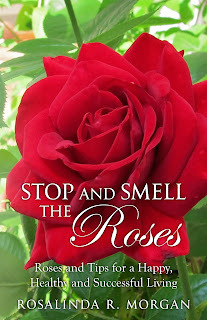 “Stop and Smell the Roses” includes some of the roses I grow in my garden. There are 33 roses featured in the book. There are almost a hundred rose-related photos all in full color. If you can’t go to a rose garden, this is the next best thing. In addition to all the rose photos, there are 101 motivational tips that will inspire you to make positive changes in your life to make you happy, healthy and successful.